Home from uni and I had free reign of the kitchen; here's what I cooked up after waking up late. As a student I tried my best to get my fruit in but a bunch of apples a week couldn't rival a fruit salad. 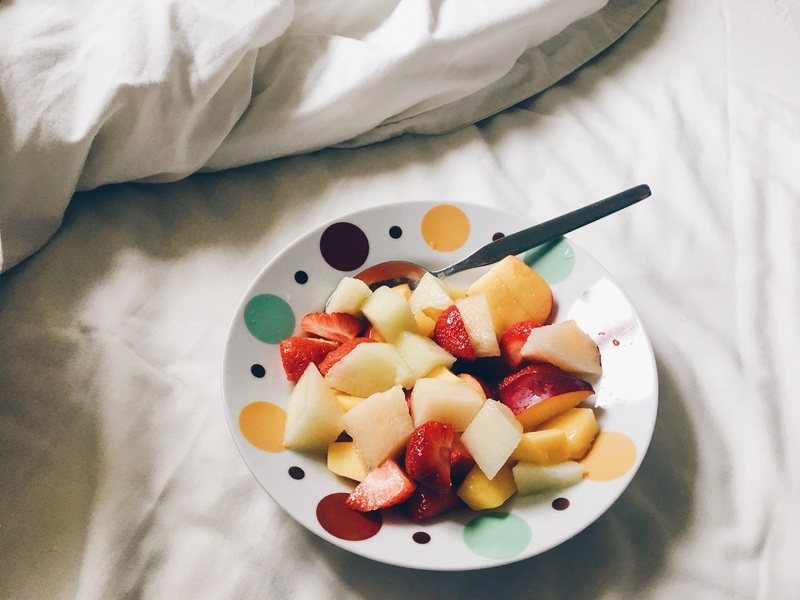 So, after waking up late and it being near to lunch, I whipped up a quick fruit salad with my favourite fruits; nectarine, honeydew melon, strawberries and mango. I alway drizzle over some orange juice as well. This kept me topped up until lunch which, on this day, was only a few hours later. I wanted something filling for lunch that would last me through to the evening. 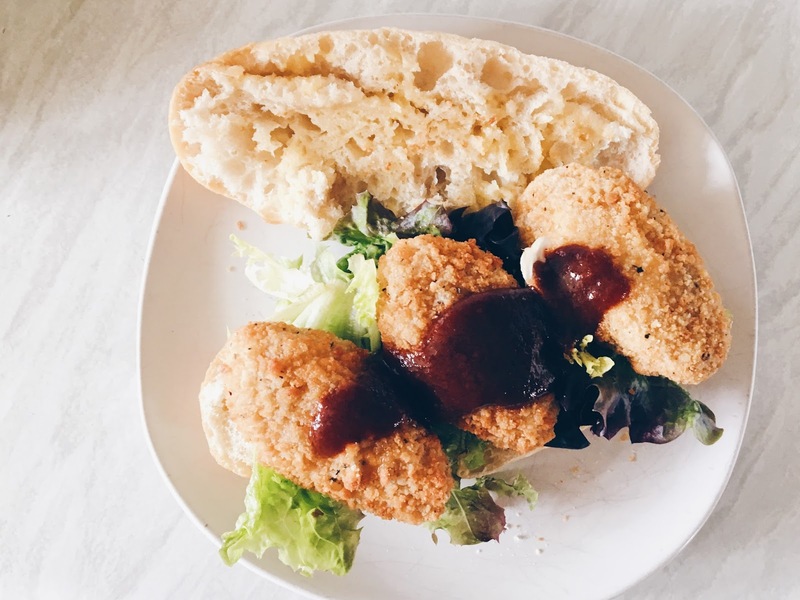 I heated up a bread roll along with some of the Quorn Southern Fried Chicken bites which are a real veggie favourites of mine. I put three of these on the hot buttered bread along with some lettuce and a dollop of ketchup; I decided to add this one my dad brought home from Nashville- it added an extra spice but plain ol' tomato ketchup is just as nice. It had been a while since I'd cooked up a stir-fry. 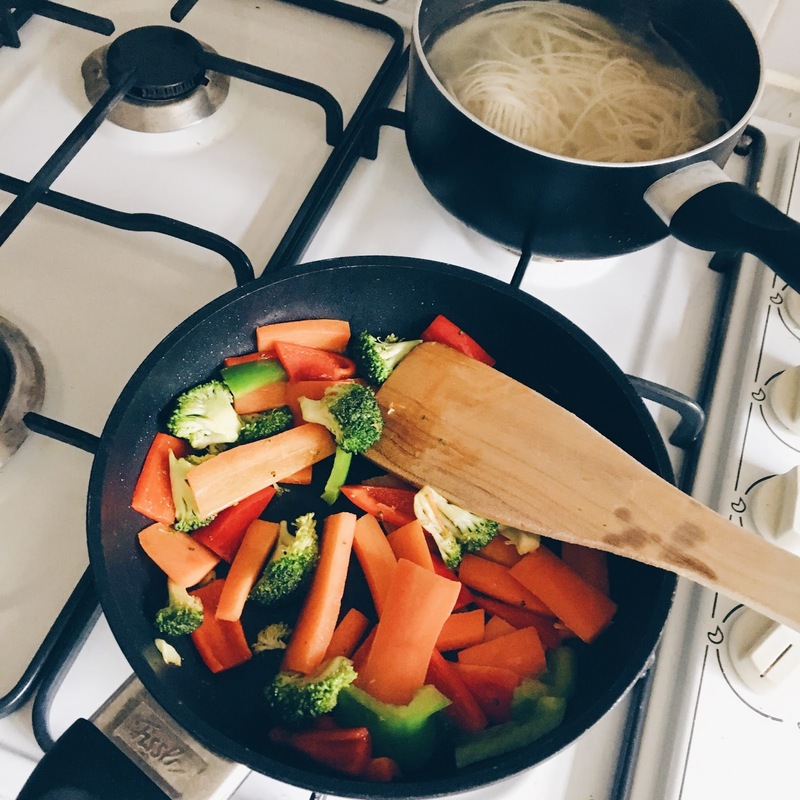 To a small wok, I added around a half a tablespoon of sesame oil to a pan which I then heated up before adding carrots, many coloured bell peppers and broccoli (I sometimes add red onion and sugar snap peas are a favourite of mine). Meanwhile, my noodles would be boiling up. Once all cooked, I added my stir-fry sauce to the veggies and served. Like a bad blogger, I'd grown too hungry to wait to take a photo...oops. 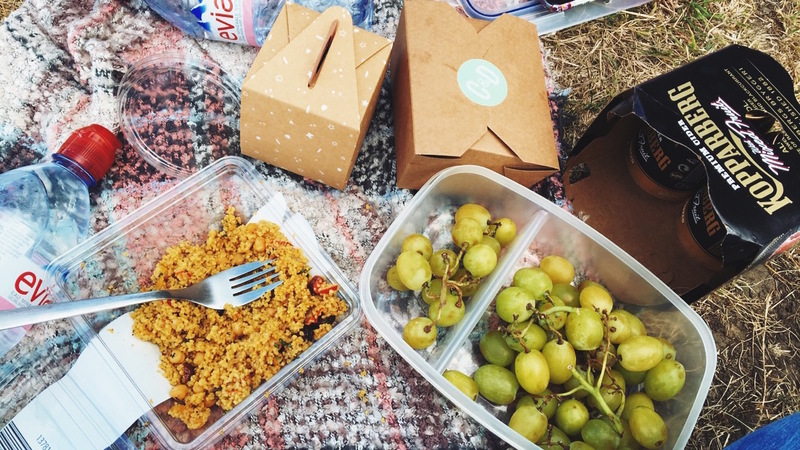 So there was what I ate in a day. I hope you enjoyed this and let me know if you did as I would love to post these more frequently.